In a dynamic e-Commerce world, merchants must be flexible and savvy to meet customers needs. Due to this fact, if your online business is about to grow, you should make sure a shopping cart doesn't limit your progress. Luckily, there is a ton of solutions to choose from and each of them offers its own peculiarities. So, lets take a deep look at the main reasons why merchants move from CS-Cart to Magento. can be customized in the areas of design and functionality to meet your unique business requirements. In sober fact, Magento offers much more opportunities for large online retailers. From the other side, it requires high level of technical skills in order to perform minor changes. In addition, you can choose from 500+ pre-built extensions available from third parties or Magento Connect Marketplace. On the other side, CS-Cart is easy to use but suffers from lack of third party extensions and modules. It also loses in the area of design - Magento is more flexible thanks to the thousands of templates and modular structure. That is why merchants that run large size businesses choose the shopping cart with a big red M logo. If you are one of those store owners who wish to migrate from CS-Cart to Magento, take a look at the prezi that describes the easiest way to move your data. 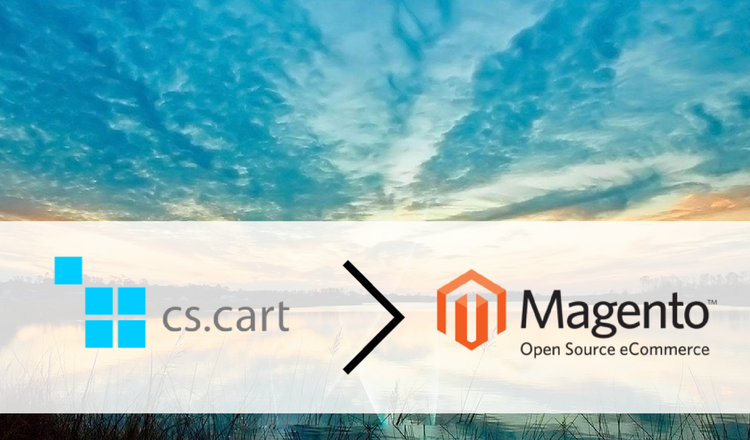 Now you know how to switch from CS-Cart to Magento with no technical skill needed. So, what are you waiting for? Register now and start your effortless migration with no doubts.